This weeks blog is in honor of Chujiro Hayashi and the contribution he made to the practice of Reiki. Often he is overlooked and yet it is his additions to the system of Reiki that have shaped Western practitioners more than any other. With the recent growth of Japanese systems like Jikiden that report to align themselves more closely with Usui’s original teachings, if you look more closely you find that in fact they are derived from Hayashi’s school in much the same way as Hawayo Takata’s ‘Usui Shiki Ryoho’ or more derogatorily labelled these days ‘The Western system of Reiki’ . Born in 1829 Hayashi came to Reiki at the reasonably late age of 47. An ex-Naval Captain in the Imperial Navy of Japan he enrolled in the 30th class of the Naval Academy in 1899 and began his Naval career. In 1940 this would cause him great moral and ethical conflict between his call to duty as Japan entered into the second World war and the healing principles learnt through his practice of Reiki. This eventually resulted in him taking his own life by ‘Seppuku’ (ritual suicide) in front of his wife and students including Hawayo Takata. Following his retirement from the Navy he trained with Dr Usui. According to some researchers achieving the level of Shichidan. (Other masters trained to Shinpiden part of a new grading system). Apparently, the only other person to reach this level was Toshihiro Eguchi and it is said that both Eguchi and Hayashi-Sensei continued teaching the original Usui-Do system along with their own healing systems for several years after Usui-Sensei’s death. Along with his wife Mrs Hayashi Chie and other Usui students , he was a member of Usui Reiki Ryoho Gakkai, an organisation formed in honour of Usui Sensei. After Usui’s Death he started a small clinic in Tokyo named “Hayashi Reiki Kenkyu-kai”. It was in this clinic that Hawayo Takata a Japanese- American born in Hawaii was to cure a serious gall bladder disease in just four months. His clinic offered Reiki using several practitioners to work on one client at the same time to maximise the energy flow. Unlike the Usui-Do system which was a more intuitive method of applying Reiki, only having set hand positions for the head, Hayashi Reiki introduced more complex hand positions for the whole body. These hand positions were more suitable for clinic use and are taught relatively unchanged to this day in Western Reiki. Hayashi encouraged practitioners to his clinic by offering to give empowerments in return for a three-month commitment as unpaid help. At the end of this stint he would offer the more accomplished students the next level in return for a further nine-month commitment. Those who completed this had the chance of receiving the Master symbol or third degree. After two years further commitment (which involved assisting Hayashi in the classroom), practitioners were taught the empowerments and were allowed to teach. No money exchanged hands in this training ­ practitioners simply had to work an eight hour shift once a week for the duration of their commitment. Hayashi made 13 Shihans (Teachers) and two of them were women, his wife Mrs Hayashi Chie and Hawayo Takata. 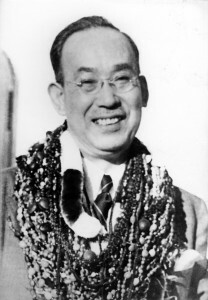 In 1938 Hayashi made his biggest contribution to the spread of Reiki worldwide when he visited Hawayo Takata in Hawaii and initiated her as a Master Teacher. Sensing the uncertain future of the World he felt it important to make Hawayo Takata a custodian of his teachings. In January 1940 it is said that Hawayo Takata had a vision of Hayashi. Sensing something was wrong she decided to set sail for Japan in March. Upon her arrival she made her way to Tokyo and things seemed normal. However in May Hayashi Sensei wired Hawayo Takata to come immediately to his summer Villa in Atami near Mt Fuji. In the presence of his wife, Hawayo Takata and his other students he committed Seppuku (Ritual Suicide). Hawayo Takata eventually made 22 Reiki Master Teachers before her passing in 1980 and at that point it was believed that Usui Shiki Ryoho was the only surviving lineage of Reiki in existence. This entry was posted in Reiki History and tagged Chakras, Dr Usui, Five Reiki Principles, Hayashi, History of reiki, Reiki, Reiki masters, Reiki Training, Study Reiki, The Five Principles, The Gokai, The Reiki Principles, Usui Reiki by Rich. Bookmark the permalink. I didn’t know his seppuku was in front of Takata and his family. That must have been an ordeal for everyone to go through. According to Frank Arjava Petter (in book This is Reiki) he states that Hayashi sensei cut his wrists in the bathroom of his Atami villa with a surgical blade. His wife was instructed to keep the real reasons and the way he ended his life secret. The reason why Hayashi sensei had to ended his life because the Japanese goverment may have asked him to spy on the US, due to the fact that he was a retired navy official and had been aware of military installtiob etc. As a Japanese gentlemen of the old school, a naval officer there was only one honorable way out.On other hand he could not say yes to become a spy and he could not say no to his emperor and country.